The 4.7-magnitude quake occurred around 6:30 p.m. in the Atlantic, at a depth of 10 kilometers, or just over 6 miles. No tsunami warning has been issued. 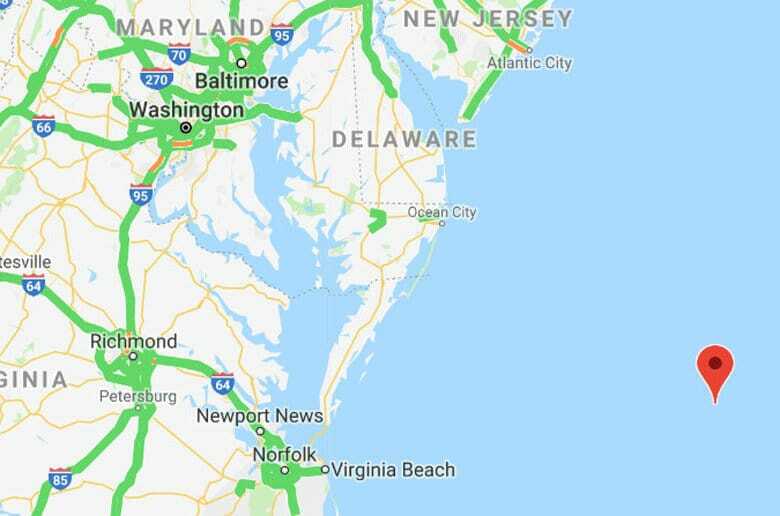 WASHINGTON — An earthquake was recorded Tuesday night roughly 136 miles off the coast of Ocean City, Maryland, according to the U.S. Geological Survey. Tuesday evening’s tremor marked one of the more significant geological events since the 5.8-magnitude quake that occurred in Mineral, Virginia, in 2011. That quake damaged the Washington National Cathedral in D.C., as well as the Washington Monument. Prinzivalli added that another earthquake was recorded in the Delmarva Peninsula on Nov. 30, 2017; it was a 4.1-magnitude quake that struck near Dover, Delaware.